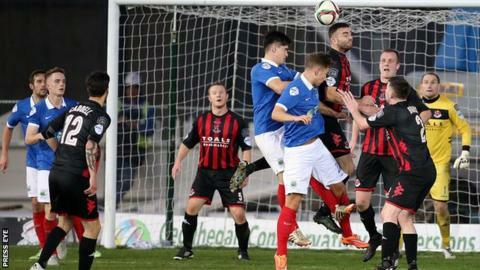 The post-split Premiership games were confirmed on Tuesday with leaders Crusaders starting against title rivals Linfield at Seaview on 9 April. The champions are five points ahead of the Blues while the final five rounds of matches will also determine the European play-off places. At the other end of the table there's the fight to avoid relegation. Warrenpoint sit bottom and occupy the automatic relegation place with Carrick Rangers in the play-off position.